Occupational therapists at The Maryland School for the Blind (MSB) help students to do their best in school activities and tasks. 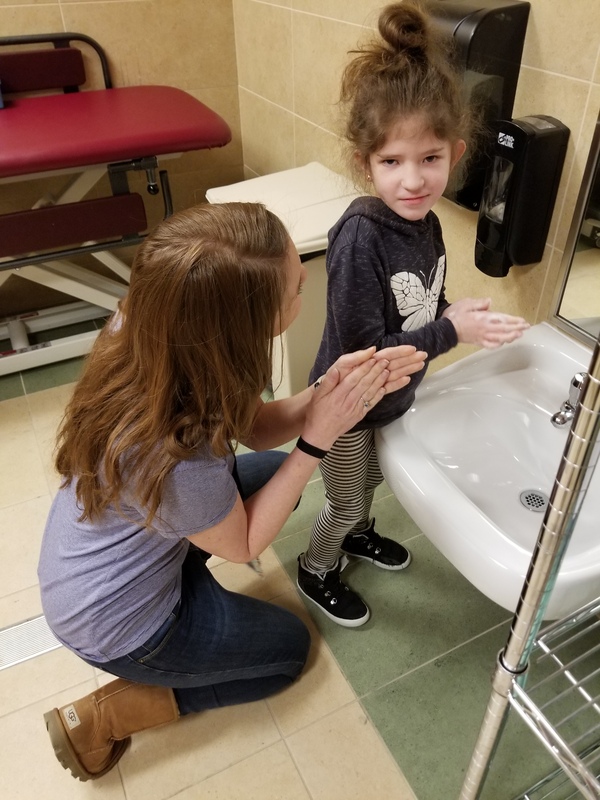 Occupational therapists work with teachers, residential staff, other therapists, and parents to help carry out and implement best practices to provide each student with an optimum learning environment and become as independent as possible. Occupational therapy (OT) services are provided to students based on assessment results and agreed on by the Individualized Education Plan (IEP) team. Services can be provided in a variety of ways including direct and/or indirect, in the classroom, on campus residential settings or in the OT clinic.